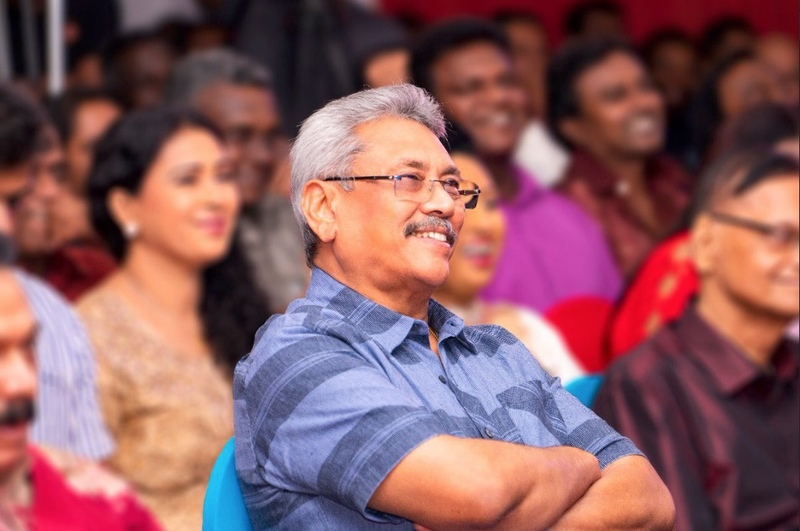 Contrary to widespread public speculations and claims by Joint Opposition parliamentarians, Former Secretary to the Ministry of Defence Gotabaya Rajapaksa will not contest the next Presidential election, Colombo Telegraph can reveal today. Sources within the Rajapaksa family confirmed to Colombo Telegraph that Rajapaksa would not contest the Presidential nor has he applied to the US state authorities seeking cancellation of his US citizenship. The 19th Amendment to the Constitution bars people with foreign citizenship from running for public office. Many supporters of the Rajapaksa camp have expressed confidence that the former Defence Secretary will revoke his US citizenship to make himself eligible to run for the presidency. “As far as I know, he does not have any plans to contest the Presidential election,” our source said, adding that Gotabaya had fooled many people, including leading businessmen, into believing that he would run for the presidency. They added these businessmen donate him millions of rupees on a monthly basis allowing him to live a luxurious life in the suburbs of Colombo. He continues to receive specialised Police protection and other government facilities, including vehicles, despite the absence of any threat from the LTTE. The former Secretary to the Ministry of Defence has so far avoided obtaining membership with the Sri Lanka Polujana Peramuna (SLPP), the proxy party of the Rajapaksa family which was set up as a political front for the next national level elections. However, Rajapaksa continues to organize ‘Viyathmaga’ and ‘Eliya’ conferences that project him as a potential Presidential candidate. The deceptive presidential campaign helped Rajapaksa politicize a surfeit of court cases against him over serious allegations of bribery and corruption.